of the baby's life-saving gene therapy treatment at UCLA. Numbers speak loudly in America. We focus intently – sometimes obsessively -- on everything from baseball statistics to the latest count of illegal immigrants. Numbers appear to create certainty and tend to drive discussion of public issues. Which is where the California stem cell agency comes in. Executives at the agency point with pride to the 10 clinical trials that it has helped to fund. They do not point to the zero number of therapies that the agency has placed in the public marketplace despite the apparent promises of the ballot campaign that created the research effort 10 years ago this month. Nonetheless, agency has chalked up some indirect scores that are difficult to quantify but deserve ample consideration when evaluating the California Institute for Regenerative Medicine(CIRM), as the agency is formally known. Enter Donald Kohn, many years later. Kohn is director of the Human Gene Medicine program at UCLA. And last week, the Los Angeles university announced that Kohn and his team have developed a treatment that cures the “bubble boy” syndrome by altering the genes of the afflicted children. In clinical trials, the UCLA announcement said, the lives of 18 children were saved. Kohn used a virus delivery system that he first developed in his lab in the 1990s. But the work on the gene treatment began in earnest in 2009 and involved two, multi-year clinical trials. The stem cell agency did not directly fund Kohn’s “bubble” research, but some of its other funding at UCLA contributed to the effort. Specifically, the work was performed in the stem cell research facility that CIRM helped to finance. Kohn’s lab is in the “shared research lab” space funded by CIRM in still another program. The research was also aided by persons working in two other separate CIRM training programs. The next step for Kohn will be to use the research in proposed clinical trials involving sickle cell anemia, which are being financed by CIRM to the tune of $13.1 million. They will also be part of the agency’s Alpha clinic program. While CIRM deserves credit for its role in Kohn’s work, it is only one of 10 entities cited by UCLA as contributing but without providing figures. Accurately quantifying CIRM’s contribution is difficult if not impossible. That said, it was significant. The agency’s programs do ripple out – not only at UCLA but globally. They add to the bank of knowledge about stem cells, all of which creates an easier path to the ultimate development of new therapies. Ironically, one of the CIRM programs -- the "shared labs" -- that helped Kohn has expired despite pleas by some of the state’s top stem cell scientists. News about that program surfaced again a few days after the Kohn announcement. Without mentioning Kohn, Jeanne Loring, head of the stem cell program at Scripps, discussed the importance of the "shared labs" in a piece on the blog of UC Davis stem cell researcher Paul Knoepfler. She noted that the program was discussed by the CIRM governing board in December 2013 at a time when the directors were being told that the money for new grants would run out in 2017. Today, however, Randy Mills, the new CIRM president, has reexamined the financial assumptions and says the money will be around until 2020. Loring and 11 other researchers are asking the CIRM governing board at its December board meeting to provide the go-ahead for applications for another round of funding for what they say is the key maintaining the rapid pace of stem cell research in California. Anything less, they say, would impede the development of stem cell treatments and waste a good portion of the $20 million already spent on the “shared labs” effort. Perhaps Donald Kohn would agree as well. 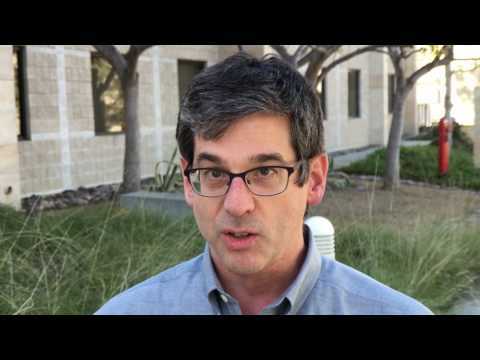 Here is a two-minute CIRM video of Kohn explaining his work. Attending the party in Los Angeles were a number of scientists and university officials whose institutions and research have received hundreds of millions of dollars from the program, which is funded by money that the state borrows(bonds). California voters created the program in 2004 when they approved a ballot initiative that established the California Institute for Regenerative Medicine(CIRM), as the San Francisco-based agency is formally known. CIRM Chairman Jonathan Thomas told the gathering at USC, which has received $88.5 million in funding, that the state research effort amounted to a “seminal event.” California began its program when stem cell research was at a low ebb, Thomas said. He said it helped to keep stem cell research alive and “galvanized” efforts globally. He and others celebrated the 10 early stage clinical trials that CIRM now expects to be part of this year. None of the speakers mentioned studies that show that only one out 10 potential conventional treatments that enter clinical trials emerges as a therapy that is widely available to the public. The odds for stem cell therapies are unknown because they are so new. Thomas and others pointed to news this week from UCLA about a genetic treatment that they said saved the lives of 18 children who had an immune deficiency affliction called the “bubble boy syndrome.” The cure involved insertion of a missing gene into the child’s blood stem cells. The work by researcher Donald Kohn received national attention. Oddly, however, the Los Angeles Times has not written about the research, according to a Google search this afternoon. CIRM's Todd Dubnicoff wrote a very nice piece about the research earlier this week. The stem cell agency did not directly fund the “bubble boy” experiment, although CIRM awards, ranging from training programs to lab construction, did help to make the effort a reality. The research is expected to be used in devising a sickle cell treatment in a $13 million CIRM program involving Kohn. The man sometimes referred to as the father of the California stem cell effort, Robert Klein, was also on hand today. Klein led the $35 million ballot campaign in 2004 to win approval for creation of CIRM, which functions outside of the normal controls on nearly all state departments. Klein, a Palo Alto real estate investment banker, was also the first chairman of the agency. Klein said that a “revolution is underway” in medicine and that CIRM is leading the way. The dream of patients has become a reality, Klein said. Only one patient appeared along with researchers, Fred Lesikar, a heart attack patient who was treated with his own heart cells at Cedars-Sinai in Los Angeles a few years ago. Lesikar told the audience that “little by little over the next six months to a year, they (the cells) went in and started replacing the dead tissue.” He said he is now feeling great. The researcher involved in that treatment, Eduardo Marban, has moved forward with a trial that CIRM is helping to fund through Capricor, Inc., a publicly traded Beverly Hills firm. On the podium today were researchers or officials from USC, UCLA, Cedars-Sinai and the City of Hope. All have representatives on the agency’s board. A researcher from ViaCyte, Inc., of San Diego, another CIRM award recipient, also spoke. Today’s media event, which was available by a telephonic link, represents a major push to generate favorable coverage of the California stem cell program. It was held early enough in the day to meet deadlines for the early TV news shows along with allowing enough time for preparation of fulsome stories. However, Los Angeles is a tough news market. We will be watching later today and tomorrow for coverage of the event and bring you additional information as warranted. The 10th anniversary media event item today incorrectly said that the news conference will be at UCLA. It will be at USC. The $3 billion California stem cell agency will celebrate its 10th anniversary with a media event tomorrow in Los Angeles aimed at demonstrating the impact of the Golden State’s research program. The news conference is scheduled for 11 a.m. PST, and members of the public can listen in by dialing 866-528-2256 with a participant code of 1594399. The event will be at the Broad stem cell center at USC. The Los Angeles media market is a tough one. It is also the state's largest. Great competition exists for coverage of events. Kevin McCormack, the agency’s communications director, is promising to have patients on hand who have benefited from stem cell therapies along with researchers and key figures in the state stem cell effort. The California Stem Cell Report last Sunday carried a 10th anniversary rundown on the agency. The California stem cell agency today took to the Internet to conduct a nearly hour-long video briefing concerning the state of stem cell treatments for spinal cord injury. The Google Hangout event featured Jane Lebkowski, president of research and development for Asterias Biotherapeutics of Menlo Park, Ca., which is involved in an early stage clinical trial for a human embryonic stem cell therapy. The firm is backed by $14.3 million from the stem cell agency. Asterias is carrying forward the Geron spinal cord trial, which that company abandoned for financial reasons. Asterias expects to enroll more patients next year. She and Kevin Whittlesey, a science officer with the state agency, discussed the multiple stem cell approaches involving spinal injuries that have surfaced since Geron began the first trial with human embryonic stem cells in 2010. Lebkowski said that first stage of her firm’s trials demonstrated the initial safety of the treatment. She also said it showed some evidence of “preferential restoration” and “prevention of further deterioration.” The patients involved were treated less than a month after their injuries. Whittlesey gave an overview of other research around the country. He commented on a case in Poland in which one paralyzed man is reportedly now walking with the help of a walker following treatment with cells from his nasal cavity. The cells were extracted by going in through his skull. Whittlesey said that it is “hard to draw any conclusions from this one patient.” He said the man “enjoyed significant benefit.” However, he said that it is not possible to attribute the benefits entirely to the cell treatment because the experiment was not scientifically controlled. California’s stem cell agency has put together a healthy portfolio of Webinars, You Tube videos and Google Hangouts involving a wide range of issues. It is all part of its effort to inform the public and spread good news about its $3 billion program. However, today’s effort demonstrated the difficulty in drawing an audience. Spinal cord injuries affect as many as an estimated 332,000 persons in this country. Despite promotion online, in the social media and notices in some publications, only 39 persons checked in for today’s Hang Out. Kevin McCormack, who hosted the event and who is the director of communications for the agency, said that it is pretty much the pattern for these sort of events. The payoff, he said, is the 1,000 or more viewers that are picked up as people go to You Tube to view the video event. We might add that the information is current, authoritative and useful, although at times a tad technical for non-scientists. The $3 billion California stem cell agency turns 10 this month, an anniversary that naturally raises the question of what has it done for the first decade of its life. Today The Sacramento Bee published an anniversary overview of the agency written by the publisher of this blog, David Jensen. However, as is the nature of the print media, space was at a premium. So the article was limited in what it could cover. Newsprint costs money. Many stories and many topics are competing for space – not unlike the battle for state budget dollars or research funding. In preparing the article, I asked for comments by email from a number of persons, including some directors of the agency and its executives, and its first president, Zach Hall, and promised to carry the full text of their comments on this Web site. I knew that most of what they had to say would wind up on the cutting room floor and not in the printed piece. But for those who follow the agency and its fortunes, what they have to say is important. It is also important for those who may want to tell the tale of California’s Great Stem Cell Experiment some 10, 20 or more years down the road. All those who responded to my inquiries were told that the article for The Bee was expected to address generally the questions of whether the agency’s efforts would be worth the $6 billion total cost, including interest, and whether it has fulfilled voter expectations from 2004, when the agency was created. They were also asked about their views on the agency’s achievements and shortcomings and advised to speak freely about any other issues as well. I would like to thank them all for responding. Their comments contribute significantly to current and future evaluations of this important enterprise. The agency responded to my request for fresh, pithy quotes from Chairman Jonathan Thomas and President Randy Mills, along with statistics many of which were submitted to The Bee for possible use in an infographic. Comments from readers on all this are welcome. They can be filed by using the "post a comment" function at the end of this item or by sending an email to me at djensen@californiastemcellreport.com. Here are links to the text of comments. Here is the text of what Jonathan Thomas, chairman of the California stem cell agency, and Randy Mills, president of the agency, had to say about its performance over the last 10 years. Their remarks came after the agency was asked for comments from them for an article that appeared in The Sacramento Bee Nov. 16, 2014. The piece was written by David Jensen, publisher of this blog. The agency was told that it was likely that their comments would be severely limited in the piece in The Bee because of the space limitations of the print media. They and others queried were also told that the full text of their comments would be carried on this Web site. "In just a few short years we have helped accelerate the pace of research in California so that we are now funding ten projects that have moved out of the lab and into clinical trials in patients. These include trials in heart disease and diabetes, cancer and blindness, HIV/AIDS and sickle cell disease. By any standards this is a remarkable achievement. But this is really only the start. We have a pipeline of other truly promising therapies that we hope to move into clinical trials in people in the next few years." "In ten years and more than 660 grants there have only been a handful of cases where there have been concerns about a conflict of interest and those were all acted upon quickly to remove even the perception of any conflict. The changes we made in response to the IOM report further strengthened the integrity of our process and demonstrated just how seriously we take these matters." ​For today’s 10-year anniversary piece in The Sacramento Bee on the California stem cell agency, the agency was asked for statistics and numbers that would be useful in illustrating what it believes is the progress of the program. The freelance article was written by David Jensen, publisher of this blog. Given the space limitations of the print media, the California Stem Cell Report is carrying all of the information provided by the agency. Kevin McCormack, senior director for communications, supplied the following, which has been edited slightly for clarity. clinical trial level (shown at right). As you can see this covers 80 different programs and involves $627 million in funding. Obviously a lot of other money goes to fund other projects such as basic research, developing tools and technologies, etc., but I think this is a graphic that people will be interested in because it highlights the areas where we are closest to developing treatments for patients. “The second item is our Ten @ Ten list (10 clinical trial investments after 10 years) which shows the ten clinical trials we're funding right now. It's actually a little (off) because we have only been funding research for seven years – it took a couple of years after Prop. 71 was passed for us to get through the legal challenges and set up the infrastructure for the agency, etc., before we began funding – but Ten @ Ten has a much nicer ring to it. “In terms of money there are probably a few things to mention, and as always it gets a little complicated. So far the Board has awarded $1.9 billion in funding but only $1.4 billion has actually been spent. When you talk about our accomplishments to date, as I am sure you will, the $1.4B is the most accurate number to use because it reflects what has gone out the door and been used for research. The following is the text of what Zach Hall, the first president of the California stem cell agency and who served from 2005 to 2007, had to say about its performance over the last decade. Hall, who is retired and currently on the board of the New York Stem Cell Foundation, developed the California agency’s strategic plan that largely remained in place until the last couple of years. He commented for a freelance piece written by David Jensen, the publisher of this blog. The article appeared in the Nov. 16, 2014, edition of The Sacramento Bee. Hall and others queried were told that it was likely that their comments would be limited in the piece in The Bee because of the space limitations of the print media. They were also told that the full text of their comments would be carried on this Web site. They were told that the print article would address such questions as whether the work of the agency would be worth its $6 billion cost(including interest), whether it had fulfilled the expectations of voters in 2004 along with discussing the achievements and shortcomings of the agency. Here is what Hall, former director of the National Institute of Neurological Disorders and Stroke, said via email. “From a scientific standpoint, there is no doubt that CIRM has been an unqualified success. The passage of Proposition 71 in California not only provided much-needed funds for research and training, but gave stem cell scientists around the world a huge psychological boost in a dark time when NIH funds for stem cell research were severely restricted. The funds in California attracted new scientists to the field and supported the training of a new generation of stem cell scientists. The result has been the establishment of a number of major centers of stem cell research in California and a steady stream of significant results in basic and applied research, some of which now underlie current efforts to develop therapies. In contrast to some state efforts, CIRM can be proud that it has spent public money in this area wisely and with integrity. “CIRM has also clearly played an important role in promoting and encouraging pre-clinical and clinical therapeutic development, breaking new ground in developing ways for government and the private sector to work together. Because this road has been less-travelled, these efforts have been more difficult and CIRM’s ultimate success in promoting therapeutic development remains to be determined. Nevertheless, CIRM’s attention to this difficult problem is of major significance, since CIRM has been one of the few government entities to try to address the problem in new and creative ways. “Are new stem cell therapies available? The thought that therapies might be developed over the 10 year life-span of CIRM was always more a hope than a realistic outcome, but there is now reasonable expectation, partly because of CIRM, that cell-replacement therapy may be effective for a number of major diseases. Will the investment of $6 B pay off in terms of economic development? This question probably will not be answered for another ten years. Could things have been done differently or better? Undoubtedly. With such a huge (some would say excessive) budget, not all the money was spent wisely. In addition, the agency was burdened with a cumbersome and conflicted governance structure whose difficulties consumed far too much of the agency’s time and energy. The following is the text of what Jeff Sheehy, a 10-year veteran of the governing board of the California stem cell agency, had to say about its performance over the last decade. He commented for a piece written by David Jensen, the publisher of this blog, that appeared in today's edition of The Sacramento Bee. Sheehy and other board members queried were told that it was likely that their comments would be severely limited in the article in The Bee because of the space limitations of the print media. They were also told that the full text of their comments would be carried on this Web site. Those queried were given generally free rein but were told that the print article would address such questions as the achievements and shortcomings of the agency along with whether its work would be worth its $6 billion cost(including interest) and whether it had fulfilled the expectations of voters in 2004.
the board, said via email. “It’s really too early to assess your first question, I believe. It is ten years since Proposition 71 was passed, but it’s just over seven years since the litigation that blocked access to the bond funding was decided (May 2007). We did start issuing grants in 2006 with some funds via bond anticipation notes and the Governor did provide $100 million. 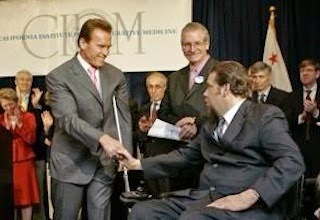 (I am extremely grateful to those who purchased the BANS and to Governor Schwarzenegger). But, we were obviously slowed down in the beginning by the lawsuit and we could not implement the full program envisioned in our initial strategic plan until we had access to the bond funding. If one wants to look at our progress at a ten-year mark, I think 2017 or 2018 is a fairer date. And I would note that CIRM funded projects are being approved for clinical trials at an accelerating pace and we should have at least some initial results by then. “As for your second question, I am certain that the investment in the California Institute of Regenerative Medicine is a wise one that has benefitted and will continue to benefit the state significantly. CIRM has led the way in creating in California an impressive research infrastructure in regenerative medicine, a critical, cutting edge biomedical research approach that will lead to cures in several diseases and conditions. In a period that included the Great Recession, facilities construction funded by CIRM alleviated some of its impact. In addition, with NIH funding flat, CIRM keeps California researchers working and has brought numerous top and emerging researchers to California. CIRM funding has helped the San Francisco Bay Area and San Diego sustain their rating as two of the three top biotech clusters in the country. “And the importance of biotech and healthcare to California should not be underestimated. In San Francisco, one in four jobs are healthcare related. The emergence of biotechnology as a driver of the California economy will offer Californians early access to the latest therapies along with the wealth created from developing these therapies. Plus, biotech development and clinical delivery in the regenerative medicine space will be relatively labor intensive and will provide numerous well paying, highly skilled jobs. These are jobs that will be resistant to outsourcing. After sending the above, Sheehy added the following later: “I had one other thought, and couldn't figure out how to blend it in. I wonder if those working on legalizing marijuana would consider deriving revenue (i.e. taxes) and dedicating enough of that revenue to keep CIRM funded. “I think that legalizing marijuana has been advanced by the success of Prop. 216 and the medical marijuana movement. I know Dennis Peron, campaigned with him in 1996, protested with him when (then state Attorney General Dan) Lundgren shut down his dispensary, and observed the benefits of marijuana for people with HIV/AIDS. The Harvey Milk LGBT Democratic Club held its meetings at the dispensary when it re-opened (I was the club's president then). Jonathan Shestack, a former member of the board of the California stem cell agency, was interviewed by telephone during the reporting for the 10th anniversary article today on the California stem cell agency. Shestack served on the board from 2004 until 2013. A Hollywood producer, he has been a longtime patient advocate for autism. He and his wife co-founded Cure Autism Now in 1995. Here is a link to Shestack's resignation letter from the board. The 10th anniversary article was written by David Jensen, the publisher of this blog, and appeared in The Sacramento Bee. Here is a summary of Shestack’s comments, which were trimmed from print article for space reasons. Shestack was critical of the senior staff at the agency. He said they did “not like to do what the board wants.” He said, “The staff made a monkey out of the (10) patient advocates (on the board) for eight years.” There was no mechanism by which the board could pressure the staff on “programmatic” issues, he said. Shestack said he was disappointed in the funding for research funding for autism. He said the agency wants to take credit for more funding on autism than is justified. He suggested that alternative grant-making proposals would been useful, such as creating a round for research on specific diseases. On conflict of interest issues, he said, “Trying to legislate away all conflict is a way to install permanent idiocy.” Knowledgeable people in a small field such as stem cell research are nearly always going to have conflicts. He said the key is to manage them properly. Shestack remarked on the impact of the state laws concerning open meetings. Compared to the private sector, they were “incredibly onerous” and made it difficult to do things, although he recognized they were necessary. The following is the text of what Francisco Prieto, a 10-year veteran of the governing board of the California stem cell agency, had to say about its performance over the last decade. He commented for a freelance article written by David Jensen, the publisher of this blog, that appeared in today's edition of The Sacramento Bee. Prieto and other board members queried were told that it was likely that their comments would be severely limited in the article in The Bee because of the space limitations of the print media. They were also told that the full text of their comments would be carried on this Web site. They were additionally informed that the print article would address such questions as whether the work of the agency would be worth its $6 billion cost(including interest), whether it had fulfilled the expectations of voters in 2004 along with discussing the achievements and shortcomings of the agency. Here is what Prieto, a Sacramento physician and patient advocate member of the board, said via email. “Has the agency fulfilled the promises of the 2004 campaign? “I think that largely, yes, it has. The principal promise of the prop 71 campaign was that here in California, we would not abandon or throttle this incredibly promising avenue of research, as the Federal administration was threatening to do at that time, and instead would try to push it forward. The promise was that we would aggressively push towards finding cures for the debilitating chronic diseases that are responsible for most of our chronic illnesses, premature death and healthcare expenses. CIRM has made that push, and has made California probably the preeminent site for stem cell research in the world. “Will its efforts be worth the $6-$7 billion that will have been spent, including interest? “This will be hard to judge until we see what the results are of some of the stem cell related treatments that are just now entering or about to enter clinical trials. If even 1 or 2 of the major ones result in a cure for something like diabetes or one of the major cancers that some of our CIRM funded researchers are working on, I think we will have to consider that it was a bargain. “What are its current achievements and shortcomings? This one could go on much longer and I'm afraid I don't really have the time right now. I think to some extent I answered this above. California has become one of if not the Center for stem cell research in the world. We could have done better, especially early in the history of the agency in terms of transparency, and could have perhaps involved the public more in the discussions of our priorities. Some of the conflict of interest issues and events that came up particularly in the recent past caught us by surprise, and I wish we could have foreseen them, but I'm glad once they happened that CIRM and our new Pres. responded appropriately. The following is the text of what Dale Carlson, who served the California stem cell as its chief communications officer from 2005 to 2007, had to say about its performance over the last decade. He commented at the request of the California Stem Cell Report for a piece written by David Jensen, the publisher of this blog. The article appeared in the Nov. 16, 2014, edition of The Sacramento Bee. Carlson and others queried were told that it was likely that their comments would be severely limited in the piece in The Bee because of the space limitations of the print media. They were also told that the full text of their comments would be carried on this Web site. Those queried were given generally free rein but were told that the print article would address such questions as whether the work of the agency would be worth its $6 billion cost(including interest), whether it had fulfilled the expectations of voters in 2004 along with discussing the achievements and shortcomings of the agency. Here is what Carlson, a San Francisco publicist, said via email. “Hard to know where to begin on CIRM. We were fortunate to attract such talented, dedicated professionals to the staff, particularly in the early days when funds were so limited, though they were a pretty beleaguered bunch by the time I arrived. The press coverage was dominated by the lawsuit. Seemed every story talked described the agency as ‘moribund,’ ‘mired’ or ‘stillborn.’ Most of them had come from labs and agencies that operated in obscurity and anonymity. They weren’t accustomed to ANY press attention, let alone being the subject of negative stories. “They’d suffered significant self-inflicted damage as well, mostly because of unrealistic schedule pronouncements about when the first grants would be made, when BANs (bond anticipation notes) would be sold and bonds issued, etc., along with violations of public meeting and records requirements. “I loved the science and the scientists. I loved helping boost their confidence when dealing with reporters. I loved working with my counterparts at the recipient institutions. We were so strapped for resources that leveraging their capabilities and relationships was essential in getting our story out (and turning around our poor public image), and they were more than generous with their time and support. “It was a noble experiment. No state had ever funded biomedical research at that level. No government had ever used debt-financing to fund science. There’s no question that they moved the ball down the field, though the goal they set – clinical therapies – remains some distance away. California also has some magnificent new facilities and a large coterie of new talent, thanks to the taxpayers’ largess. Here are comments from Ruth Holton-Hodson, who was the chief staff person on the only state body charged with overseeing the California stem cell agency, on the 10th anniversary of the program. She worked for State Controller John Chiang, who is the chairman of the Citizens Financial Accountability and Oversight Committee. The committee was created by Proposition 71, which also removed the agency from normal budget oversight by the governor and legislature and ensured an unfettered flow of funds to the agency. Holton-Hodson was asked for her comments for possible use in an article that appeared today in The Sacramento Bee. It was written by David Jensen, publisher of this blog. Because of space limitations, her remarks did not appear in the article. Chiang was elected state treasurer this fall. Holton-Hodson left her post prior to the election to travel and seek new opportunities. "Proposition 71 exemplifies the problem of allowing individuals, if they have enough resources, to put an initiative on the ballot. (The problems include) the built-in conflicts of interest of the governing board and the fact that the chair and the vice chair also play staff roles -- completely contrary to good governance practices. In this case, (Robert) Klein (the first chairman of the CIRM board and who oversaw the drafting of the ballot initiative) wanted to lead the agency so he built the role he wanted. "Most voters don't read the fine print; for many the vote was a way to stand up to President Bush. Probably most importantly, the allocation of huge sums for such a discrete project without any consideration of the opportunity costs (is an issue). Three billion dollars, which was really $6 billion, is a sum that should require vigorous debate as to whether that's the best way to spend taxpayer dollars, Voters weren't presented a choice between stem cells and other critical issues, so I suspect most voters didn't think about whether that was the best expenditure of funds. The legislative process, as frustrating as it is, involves a representative body that asks questions, determines the policy that is most acceptable and how or whether it is paid for. "Klein, as the founder, leader, wanted to run the agency the way he saw fit. That’s fine in the private sector, but these are public dollars. There are rules and norms that must be followed, conflict of interest and transparency being a primary ones. Klein and frankly the board were completely insensitive to what is an appropriate public sector salary. They set the salaries based on what academics running large institutions make. Of course, this went back to language in the initiative. CIRM, however, is hardly a large institution. "Has the agency fulfilled the promise of the campaign of 2004, which left the impression with voters that stem cell cures were right around the corner? The promise of the campaign, as with any campaign, was caught up in the hyperbole needed to get votes. Completely unrealistic, and now they've set themselves up for public disappointment and disillusionment. They promised but weren't able to deliver. "If the major goal of Proposition 71 was to improve the health of Californians, was spending $6 billion of taxpayer dollars (including bond interest) on stem cell research the best way to do it? If the voters were asked if this was the best way to improve the health of Californians, I suspect they would say no. Can you imagine what we could have done channeling that much money into the community clinic system, but there isn't a wealthy individual that wants to propose that we have a first class health care clinic in every community. "Regarding the future of the agency, is it realistic to expect California to continue to invest billions more in the agency and stem cell research? Given both the changed politics around stem cells and the terrible budget years California has just gone through, I would be very surprised if the voters were to approve another initiative." The following is the text of what Ben Kaplan, one of the persons featured in Proposition 71 TV ads in 2004, had to say about the California stem cell agency’s performance over the last decade. He commented for a piece written by David Jensen, the publisher of this blog. The article appeared in the Nov. 16, 2014, edition of The Sacramento Bee. Kaplan and others queried were told that it was likely that their comments would be limited in the piece in The Bee because of the space limitations of the print media. They were also told that the full text of their comments would be carried on this Web site. In Kaplan’s case, his remarks were originally included but were trimmed to meet the space constraints as were others. “Having worked as a consultant for a biotechnology software startup, I have seen the challenges of developing new medical treatments up close. Thus, I have a degree of understanding of what CIRM is facing. While new therapies or cures have yet to emerge from CIRM-funded research, knowledge of stem cell function and disease processes has advanced dramatically. Reed, Roman's father is in the center. Roman Reed, the patient advocate who came up with the motto of the California stem cell agency, was asked for a brief comment for the 10th anniversary piece today in The Sacramento Bee that was was written by David Jensen, the publisher of this blog. “The California Institute of Regenerative Medicine-CIRM can summed up in three words: Beacon of Hope. “California’s Proposition 71 is the support, the foundation for the research that will one day give us the cures that we so desperately need. 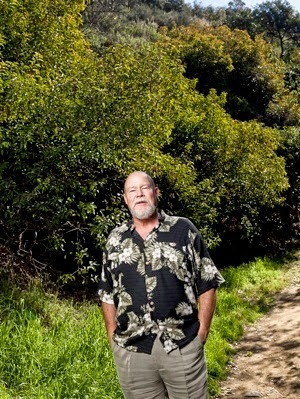 “I am honored to have helped passed CIRM, Bob Klein's vision, California prop 71. This is a legacy that we leave to the People of California and the World. The venture capital world has a “stunning lack of female decision-makers” but the $3 billion California stem cell agency has snagged one for its board of directors. She is Kathy LaPorte, who is a founding partner of New Leaf Venture Partners of San Mateo, Ca., and New York, which focuses on health care technology. LaPorte is chief business officer of Nodality, Inc., a biotech firm in South San Francisco, whose executive chairman is Michael Goldberg, who LaPorte replaces on the stem cell agency’s board. And she is also a co-founder of Healthtech Capital of Los Altos Hills, Ca., an angel investor group. The agency earlier this week announced her appointment to the board by California Treasurer Bill Lockyer, who leaves office this year. 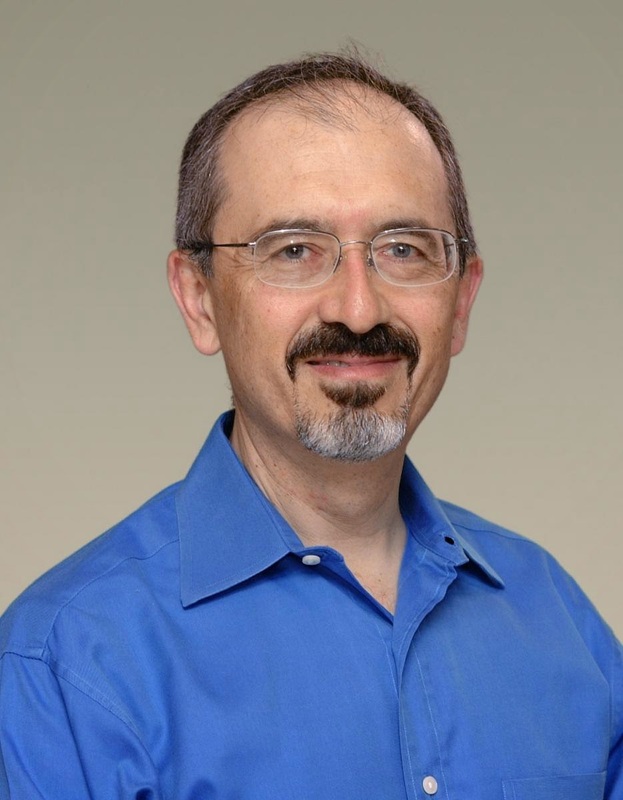 LaPorte was also on the board of Affymax, Inc., of Cupertino until 2013. She was there at the same time another stem cell board member, Anne-Marie Duliege, was head of research and development for the firm. Duliege is currently executive vice president of ChemoCentryx, Inc., a publicly traded firm in Mountain View. LaPorte also holds an MBA from Stanford. Masayo Takahashi, the scientist in Japan who is leading the first clinical trial involving reprogrammed adult stem cells, today was named the stem cell person of the year. The announcement was made by Paul Knoepfler, the UC Davis stem cell researcher who sponsors the award and personally funds its $2,000 prize. The development of IPS cells, which also originated in Japan, has been hailed because they remove the moral objections that some persons have concerning the use of human embryonic stem cells. Many scientists, however, continue to consider the human cells as the gold standard. Takahashi is a physician-scientist and a faculty member and project leader at the Laboratory of Retinal Regeneration at the Center for Developmental Biology at RIKEN. Takahashi was introduced to the field of stem science in 1995 when she followed her husband to the Salk Institute in the San Diego area in California. She said barriers to women in science have largely disappeared in Japan although the comment was made before the STAP scandal that involved Riken. A key figure in the STAP research was a woman scientist, and persons prejudiced against women in science may well to use it to justify their biases. The battle over the WARF patent on human embryonic stem cells caught the attention of the Los Angeles Times last week, which added some oatmeal and history to the tale. Michael Hiltzik, a business columnist with the largest circulation newspaper in the Golden State, reported on the challenge by Consumer Watchdog of Santa Monica, Ca., Jeanne Loring, head of the stem cell program at Scripps, and the Public Patent Foundation of New York. “The group has challenged the patent on two grounds: first, that the work covered wasn't novel or original, and second, that the Supreme Court has ruled that a ‘product of nature’ can't be patented. “The foundation demanded steep licensing fees of $5,000 a year from academic researchers and as much as $400,000 from commercial firms, plus royalties from product sales. “Eventually this backfired. When San Diego researcher Jeanne Loring was confronted by a demand for $75,000 a year from her start-up company—‘that's a lot, when your entire budget is $75,000,’ she told me--she looked closely at the patents only to conclude that they should never have been issued. “The key to (Wisconsin researcher Jamie) Thomson's success, she contends, was that he was able to get his hands on human embryos at a time when other researchers could not; the techniques he used had been applied to embryos of other species and shown to be effective. ‘Had I or any other stem cell scientist been given human embryos and sufficient funding, we could have made the same accomplishment, because the science...was obvious at the time,’ Loring says in a court declaration. “WARF disagrees. Thomson's success, it says in its own legal filings, ‘was anything but routine....He identified the critical steps needed to generate and culture these cells....No prior art reference taught these insights.’"